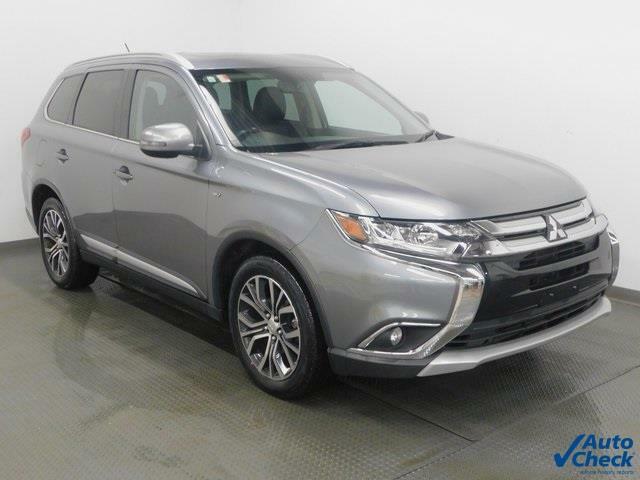 Rare GT V-6 Engine~Sunroof ~AWD ~~Leather~~Navigation~~~#1 Ranked Outlander GT in Condition X Miles Value - Home delivery available***-- Has remaining bumper to bumper factory warranty to 60,000 miles. , Immaculate Condition!, ***Factory Bumper to Bumper Warranty no deductible to 60,000 Miles**, **Navigation/NAV**, **Power Sunroof**, **3rd Row Seating**, **Heated Leather Seats**, **All-Wheel Drive**, **ONE-OWNER**, **Please Call (330) 722-8000 To Confirm Availability** at Sims Mitsubishi Superstore, Year End Event Ends 12/31/18 Beat the interest rate Hike Best Deals of 2019, Navigation System, Power moonroof. Message: Thought you might be interested in this 2016 Mitsubishi Outlander.